Social and emotional development in young children is paramount to their ability to learn academic skills, get along with others, solve problems, and cope with difficult situations. Some research would even argue that social and emotional health is the key to one’s overall success. The foundation for social and emotional development is built during early childhood. This course will explain what social and emotional development encompasses, discuss why it is important and explore what role self-regulation has in impacting overall social and emotional health in children. In this course, you will also learn what social and emotional developmental milestones you can expect for children birth through age five and activities and strategies that caregivers and professionals can use to help promote healthy social and emotional skills. Identify the key components that make-up social and emotional development. Explain why social and emotional development is important during early childhood. Define self-regulation and explain its impact on a childs overall development. 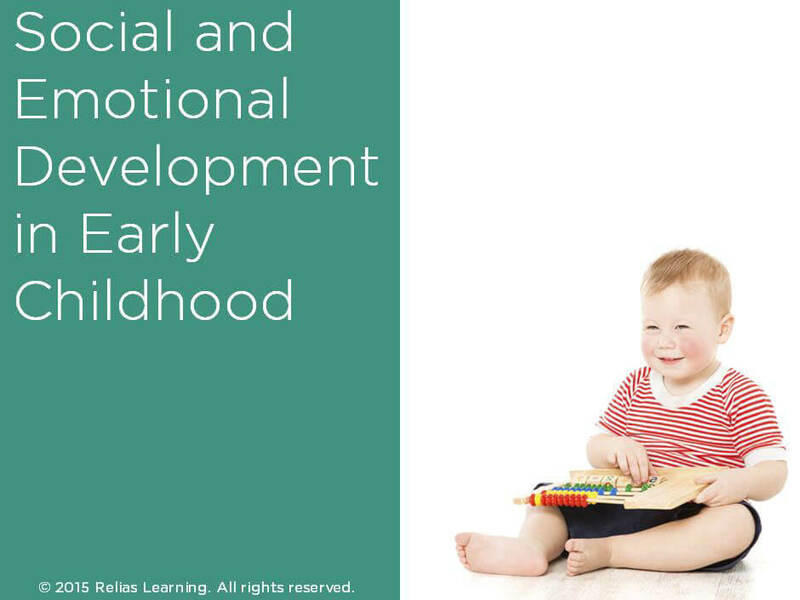 Identify developmentally appropriate activities/strategies for infants, toddlers, and preschoolers that promote social and emotional development. Corinne Fennelly has a Master’s Degree in Clinical Psychology, specializing in children and families. She is a Licensed Professional Counselor and a Certified School Counselor in Georgia. She has worked with children and families in traditional mental health settings for years. She also designed and coordinated a county-wide mental health early intervention program for children in child care centers and family day care homes. During her time as Early Intervention Coordinator, she specialized in child evaluation, teacher and parent workshops and working with children with special needs. Corinne then served as an Assistant Project Director at Georgia State University’s Best Practices Training Office where she developed on-line and face-to-face trainings to support birth- five teachers. Corinne is currently a Birth-Five Facilitator at the Atlanta Speech School’s Rollins Center for Language and Literacy where she provides live and on-line coaching and support for teachers and curriculum specialists. Disclosure: Corinne Fennelly, MA, LPC has declared that no conflict of interest, Relevant Financial Relationship or Relevant Non-Financial Relationship exists.